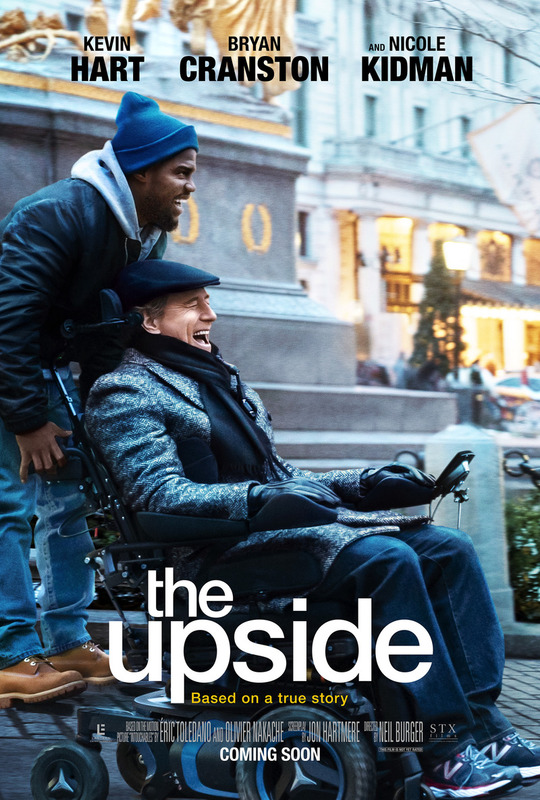 The Upside DVD and Blu-ray release date is set for May 21, 2019 and available on Digital HD from Amazon Video and iTunes on May 14, 2019. A rich man from the Upper East Side is a paraplegic who relies on a wheelchair and caretaker to have any type of a decent life. He has reached a point where he has thoughts about giving up. Some think he has a death wish. His assistant, Yvonne, helps set him up with a new caretaker. Dell, divorced and down on his luck after being released from a prison sentence, had merely hoped to make his parole officer happy with this new job. As the two men learn more about each other, an unlikely friendship blooms that brings purpose to both of their depressing lives. DVDs Release Dates is the best source to find out when does The Upside come out on DVD and Blu-ray. Dates do change so check back often as the release approaches.